The initial stages of our gerbera propagation process are carried out in specialised laboratories with in-vitro tissue culture. The following stages of the cultivation process take place at our own nursery, where they are supervised by experienced experts. This partnership results in healthy plants that produce flowers for years. When it comes to delivering gerbera plants, we offer several options. We cultivate the tissue culture plants at our own nursery. We can do this in Jiffy 4 and 6, and also in Rockwool rooting plugs. Depending on the amount of space available, further cultivation of your plants is also an option. Depending on the country, tissue culture plants can also be delivered in-agar and ex-agar directly from the lab for local cultivation. We use clonal selection to guarantee the quality of our gerberas as effectively as we can. We select the best plants from huge batches every year and use these plants for re-insertions and propagation. 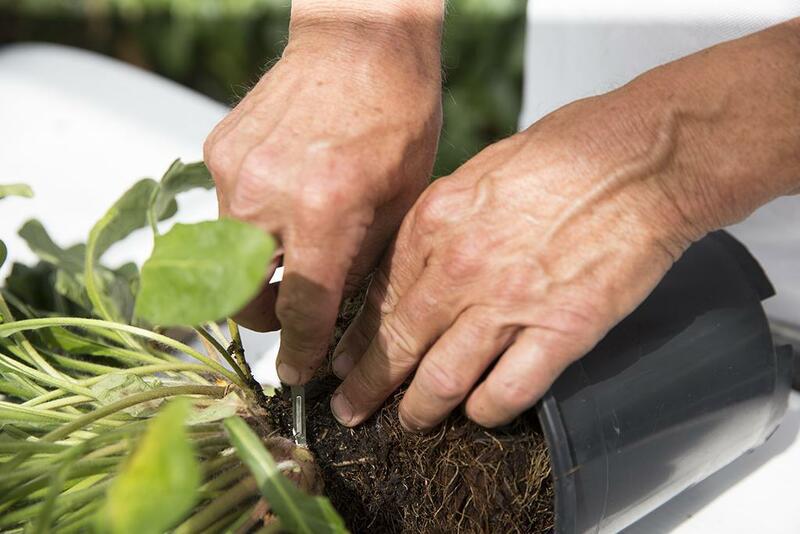 That way, we ensure the quality of our varieties so you get the very best plants. To ensure that the plants are not contaminated during transport to your company, we work with an automated decontamination process designed especially for us. The Danish trolleys we use are washed, dried and decontaminated before they are brought on site and the plants are loaded. This guarantees that plants are optimally protected from contamination during transport.